This morning I found this article about yogurt. (read here: Full Fat Yogurt Trend) More people are swapping their reduced fat yogurt for full fat yogurt. This is consistent with some of the articles calling for people to drink whole milk (and/or raw milk) and skip the lower fat versions. I don’t drink milk so that is not a topic I care to address but I do eat yogurt on occasion. 1. 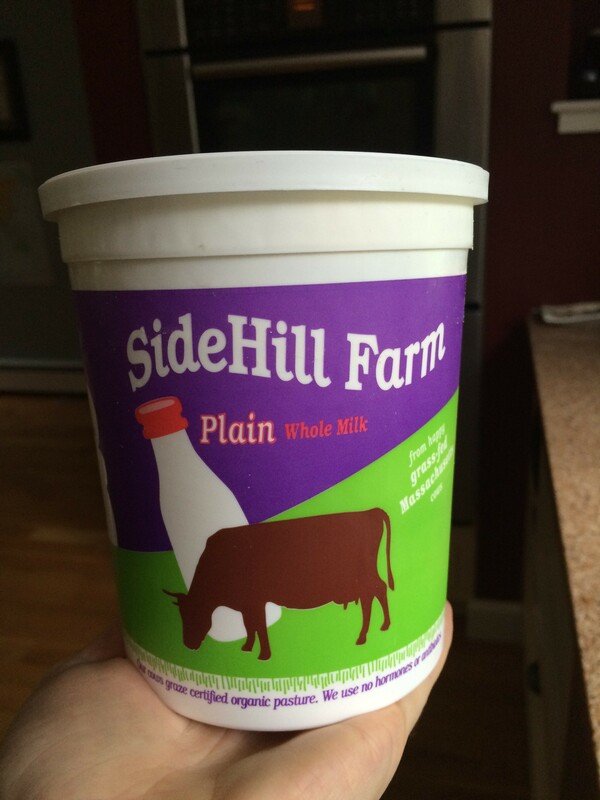 Eat Local, Eat Whole: I have never really like yogurt but I love whole milk plain yogurt. Damn, its good. SO much better than lower fat ones. You just eat less but it is so creamy and satisfying. 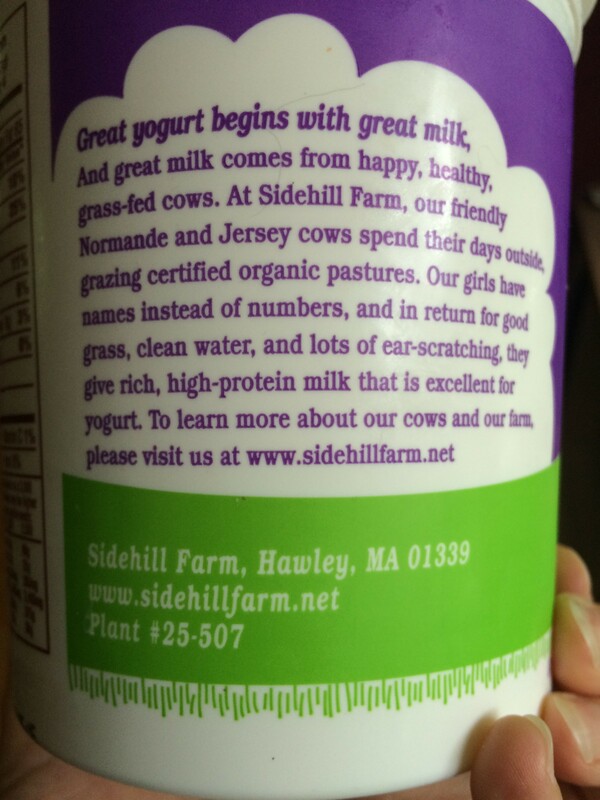 My nutritionist, George, recommended I try Sidehill Farm which is produced here in Massachusetts. Nothing but milk and probiotics. For so many reasons, local is always best! 2. Read your labels. 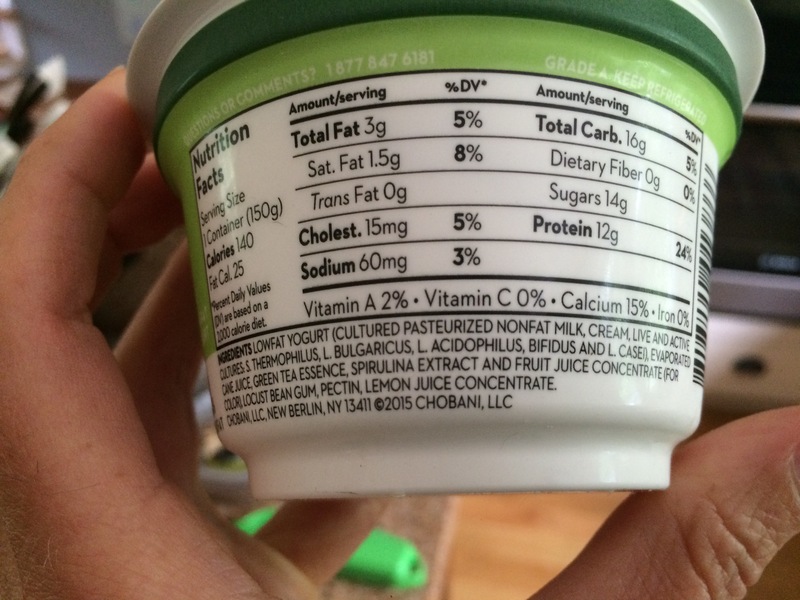 I am reading that many yogurts contain sugar or other sweeteners, especially the lower fat versions. I don’t eat those so I wouldn’t know. Also keep in mind that sugars are being disguised on labels under other names such as fructose sweetener, corn syrup, dextrose, and malt syrup. Click here for a full list of these sugar sources and names. This is especially true of flavored yogurts…unnecessary added sugar. If you need your yogurt a little sweeter add your own agave, maple syrup or honey. 3. Food Combining: According to Ayurveda and other sources, eating fruit and yogurt together is bad. Basically this is because each require a different environment in which to be properly digested so eating together is not beneficial. This article on Mindbodygreen.com explains why and gives suggestions and alternatives. This concept also goes back to the sugar issue. Many flavored yogurts that contain added fruit, also contain added sugar. If you must eat fruit with yogurt, at least add your own fresh fruit and eat the unflavored yogurt at room temperature. Yogurt is a great way to get some calcium, vitamin D, protein and your probiotics. I don’t eat a lot of yogurt but a couple times a week helps me feel better. Following these guidelines above has also improved it’s positive effects.